Follow the link below for a detailed analysis of why Solidarity Halifax supports the people of Gaza and why we are demanding the NDP condemn Israeli aggression. 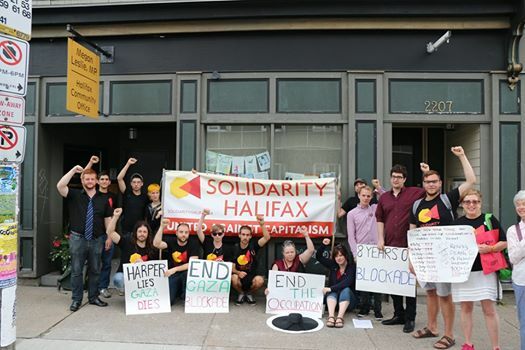 Solidarity Halifax members outside MP Megan Leslie’s office to demand that the NDP condemn Israeli aggression. See below media coverage of our picket outside NDP MP Megan Leslie’s office along with Independent Jewish Voices and Canadians, Arabs and Jews for a Just Peace. 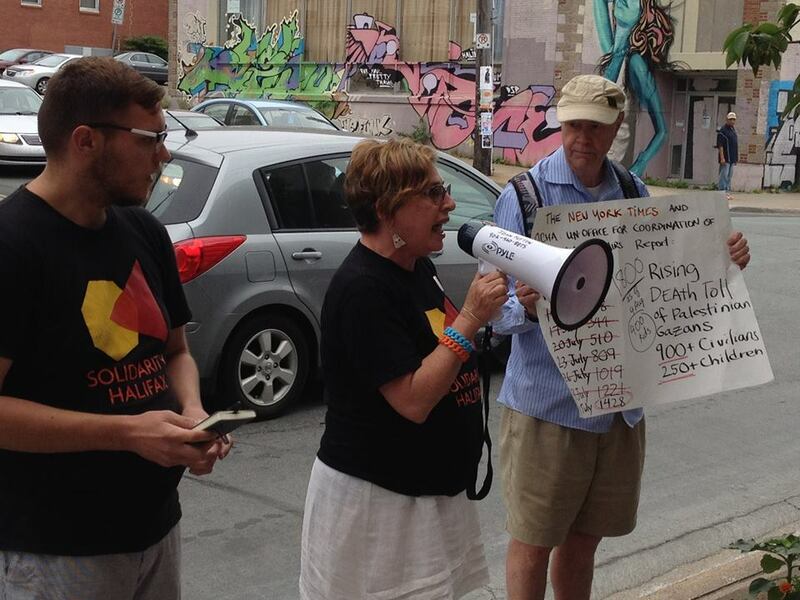 Judy Haiven, member of Solidarity Halifax and of Independent Jewish voices calls on the NDP to condemn Israeli aggression in Gaza.